Ready to kick off Christmas decorating in style? 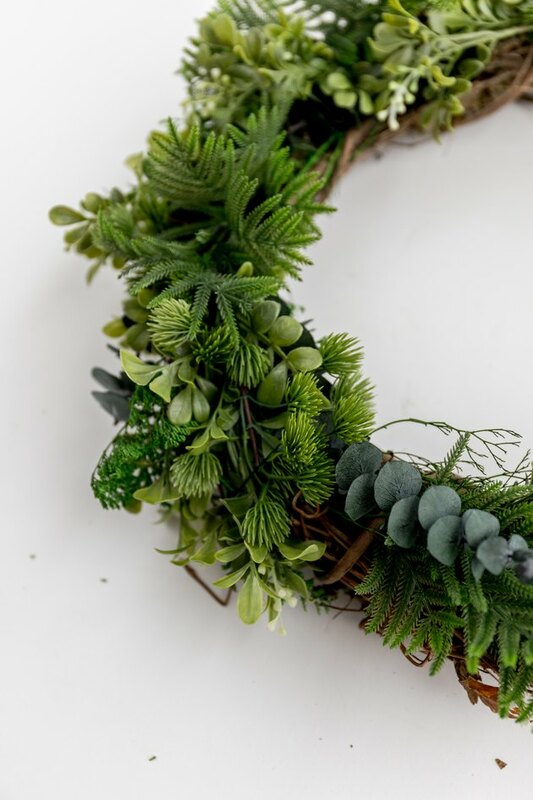 This DIY Scandinavian-style wreath is inspired by fresh greenery, but is cleverly made with faux materials. 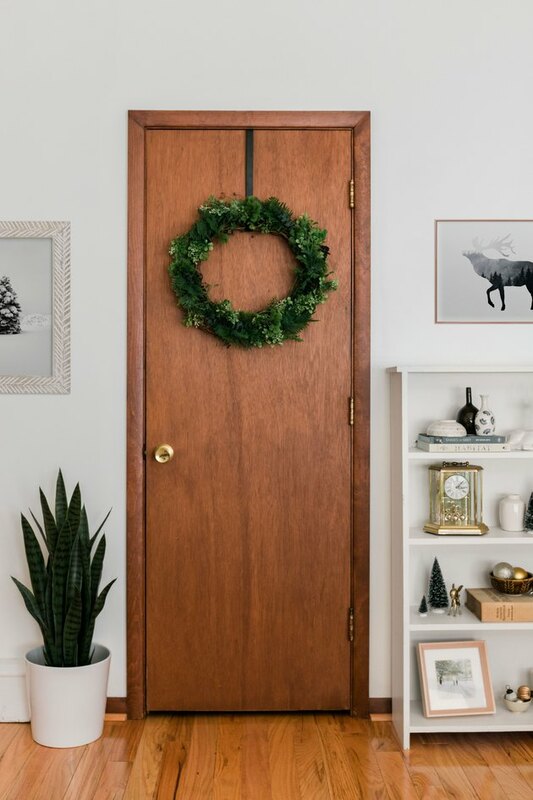 It's holiday door decor that you can reuse year after year. 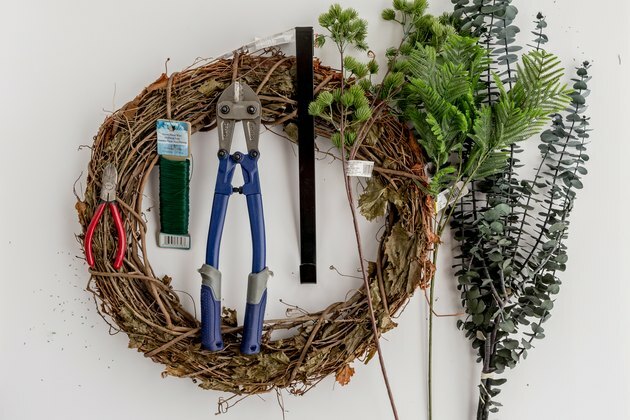 Cut the stems off all of your faux branches using the wire cutters. Cutting all of your branches in advance will make the steps go faster and easier. 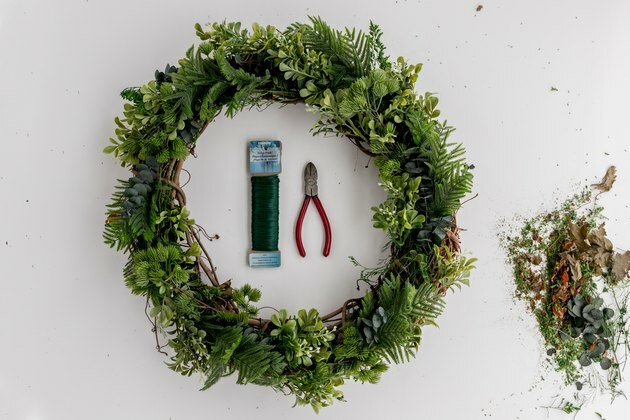 For thicker branches, you can use heavy-duty bolt cutters. 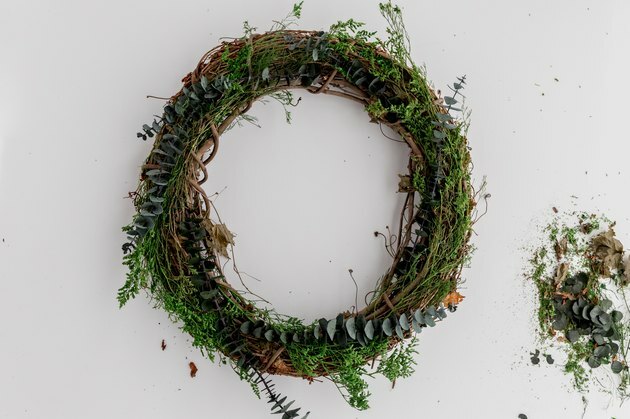 Lay down your first layer of branches in a rough formation across the face of the grapevine wreath. 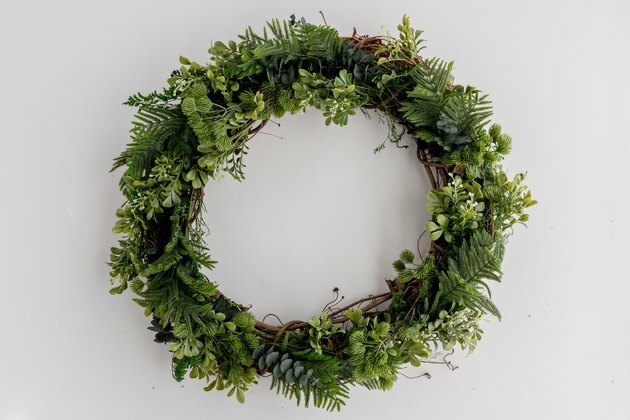 Push the ends of the branches in between the vines of the wreath. 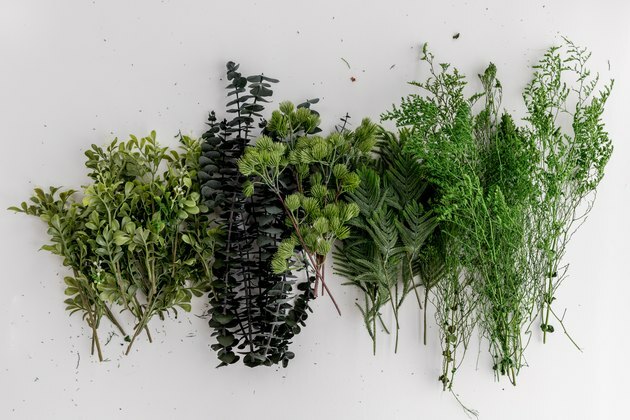 It's okay for the branches to look a little messy in this step — you'll clean up the look in Step 3. Cut about five to 10 pieces of wire, roughly six inches in length each. 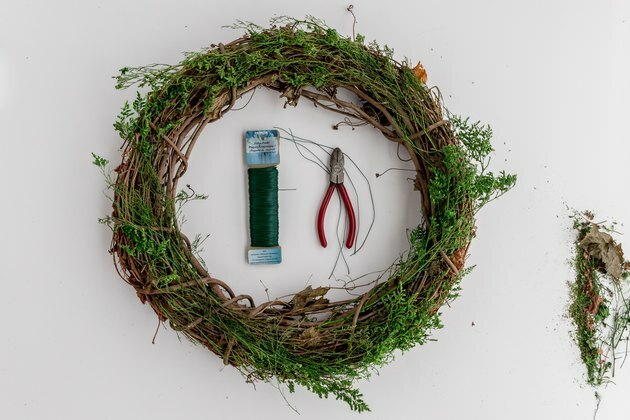 You'll use this wire to attach the branches evenly to the wreath form. 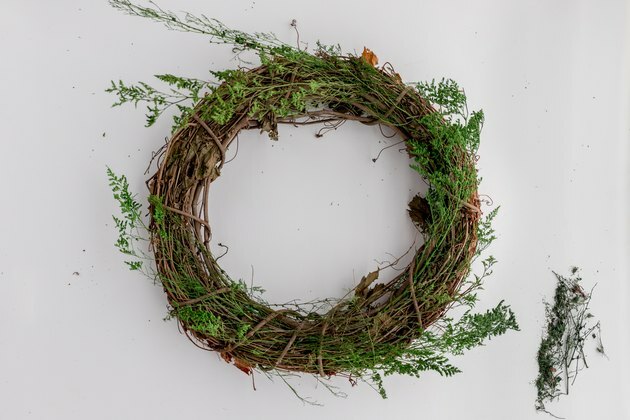 Twist the ends of the wire together at the back of the wreath to securely hold the branches. Lay down another layer of branches in between and over top of the first. Secure the branches with wire as you did in Step 3. Repeat Step 2 through Step 4, adding more layers of faux branches until you've fully covered the grapevine form. To finish, firmly secure any fly-away branches with more lengths of cut wire. 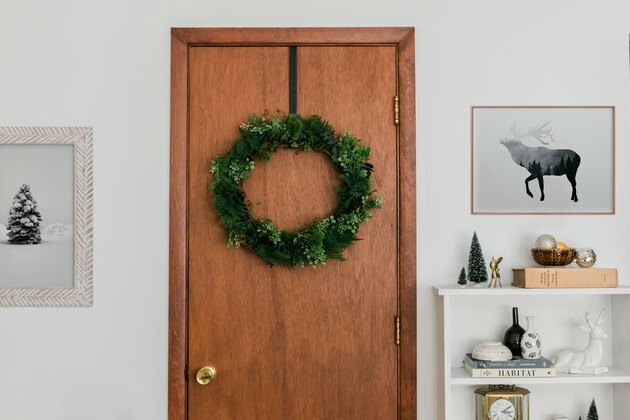 Hang your new door decor on a wreath hanger, either indoors or out. Because it's made from all faux materials, you can store it and use it again, year after year. Now that's a DIY done right!